Three art pieces were custom designed for the CIR Community Inclusive Recreation’s Dream Leaf Fund Campaign. The Dream Tree (right) was designed to hold leaves that Participant Artists create, which hold a dream that they would like to come true. 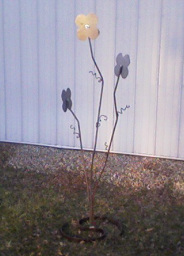 Donors “pick” a leaf off of the tree and purchase the requested dream (an art material, an art class, etc). On the Dream Flowers (below) the flower stalks hold larger heads that were created by Participant Artists. The large heads have clips on them that hold special leaves. The leaves hold requests from clients and participants in CIR studio and recreation’s programs. The inclusiveness of this wonderful community program inspires me each time I visit and work with the artists and participants in CIR's ETC Arts Studio in Battle Creek, MI. 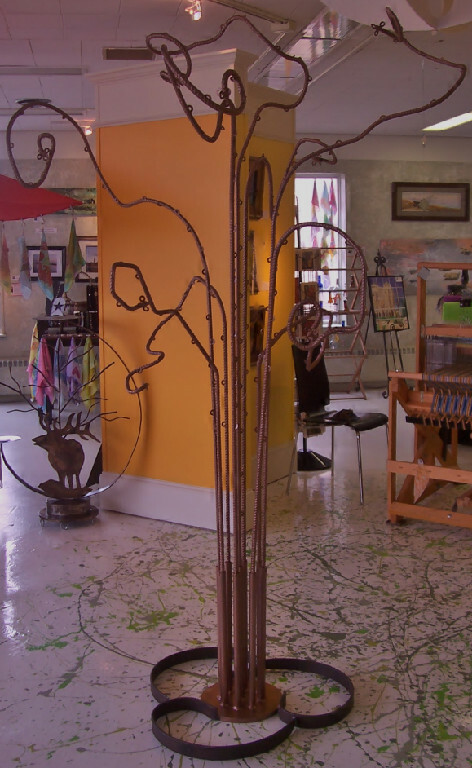 Visit the ETC Arts Studio yourself to see the tree with leaves on it - pick one and feel good about making a dream come true! Designed in removable, interchangeable components to make display and movement easy.